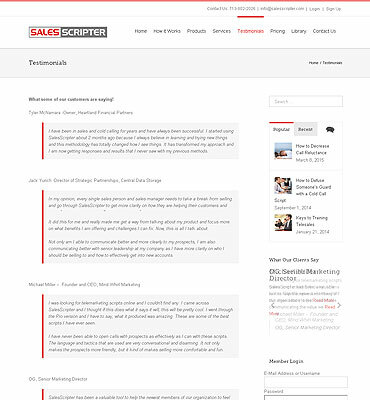 SalesScripter is a web-based app provides tools and templates that help users to always know what best to say and ask when talking with sales prospects. 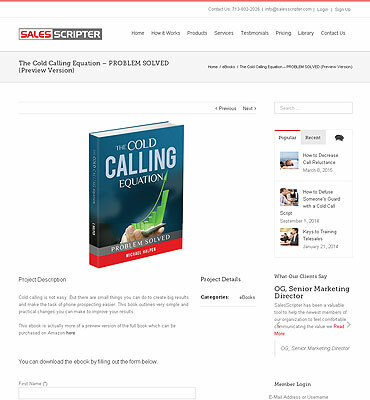 SalesScripter provides a library of sales scripts, templates, and tools to sales pros helping them to improve their prospecting and lead generation efforts. 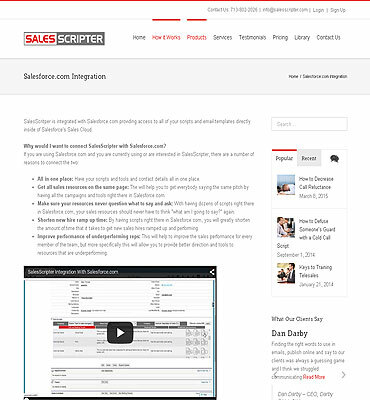 Users can use the standard templates or customize with their own information by answering a few questions. According to the deliverables and client requirements we suggested for PHP. 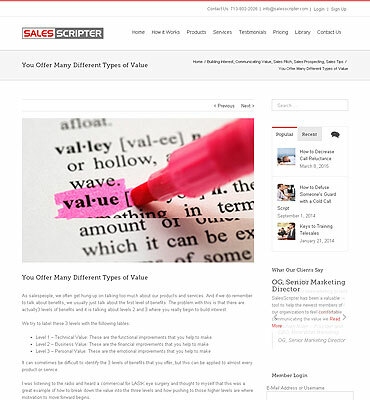 We choose Word Press as an open source CMS. In order to execute the project we assigned dedicated team. 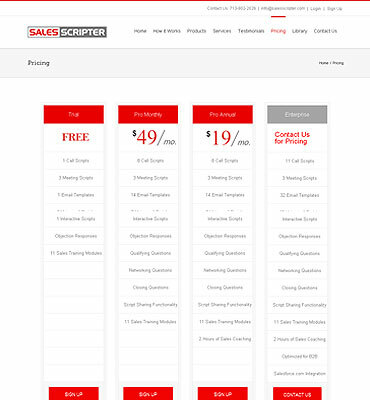 Once we did the complete development, we had to deployed all the codes and files to server. The team has been consistently monitored by the Project Manager to make the website live. 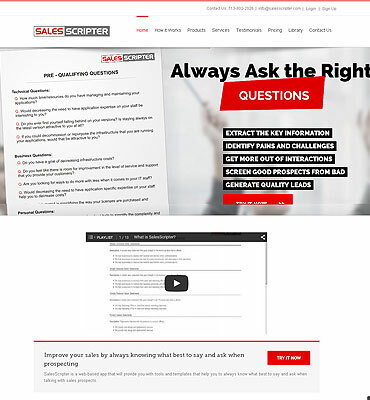 Flexsin developed a robust and easy to use tool which takes all the answers provided by the experts and plugs them into a deep library of sales scripts and templates. 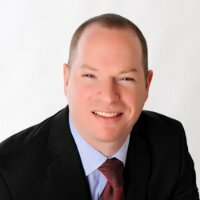 These templates not only save time to create all messaging from scratch, but also test the formats and techniques which are used by templates. Backend The team has been continuously researched to make the features compatible as per the desired frameworks and technologies. Our backend developers closely worked with front-end engineers to ensure the system consistency and improve user experience. By integrating CRM web portal we delivered a new channel that deliver extra scale and greater choice to the customers with appropriate solutions. Development process An agile development process was used with an intense discovery phase. We deployed a dedicated team to HTML developer, senior developer, business analyst and a testing engineer to complete the project within estimated time. Our aim was to develop and maintain functional and stable portal to meet client needs. "Very happy. Will hire again. "..